This evaporation can cause a drop in the air temperature of up to 12³C. 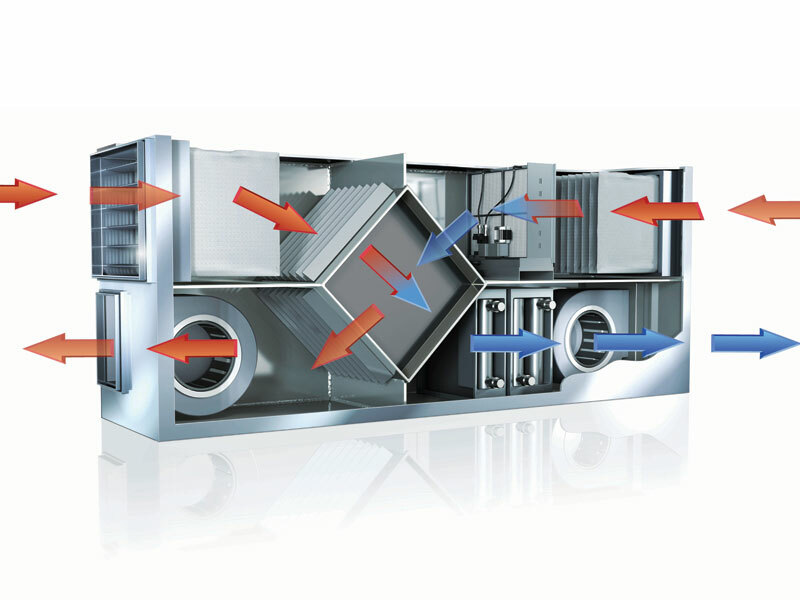 Exhaust air from a ventilation system can often be used to cool the incoming air. A spray humidifier will either use compressed air or high pressure to atomize the water into the air stream, again with the same adiabatic cooling effect. 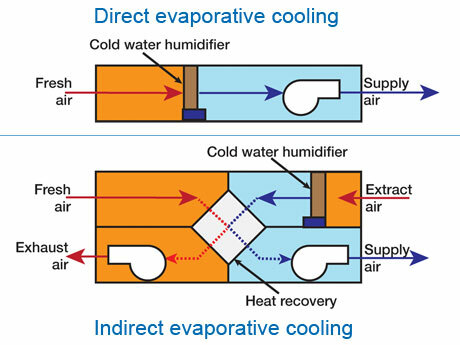 The decision as to which type of cold water humidifier to use in evaporative cooling applications will be determined by a number of factors including, size and geometry of air handling unit, level of control required, water hardness and evaporation load. These humidifiers can be employed on the incoming air as well as the exhaust air to provide cooling. By using the humidifier on the incoming air, a direct cooling effect is achieved. 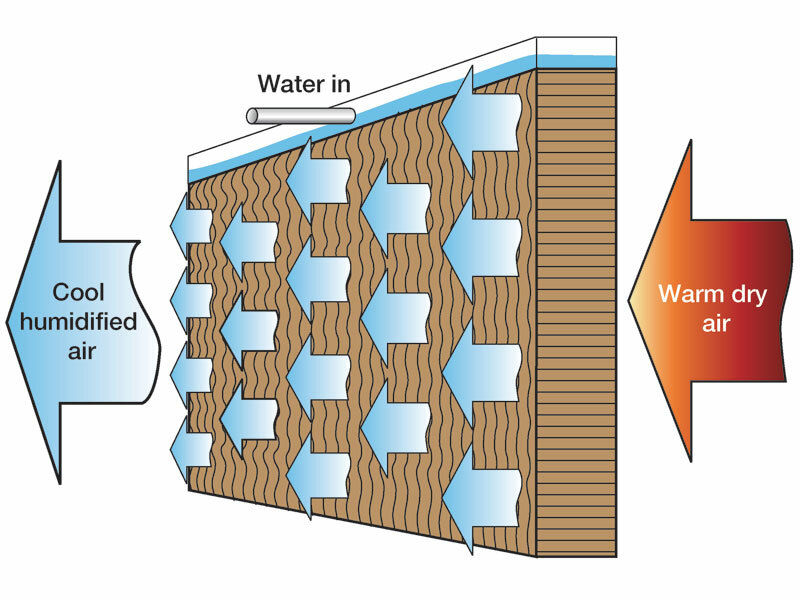 The amount of cooling depends on the outside air’s temperature and humidity so this technique is most used during the warmer months. 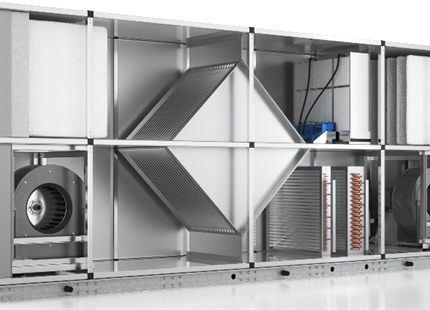 This form of cooling has been widely employed recently in data centers alongside “Free Air Cooling” systems. 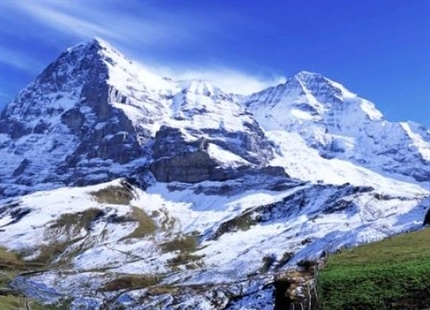 By bringing in fresh air to provide cooling rather than conditioning and re-circulating internal air, data centers can operate without mechanical cooling for up to 70% of the year. 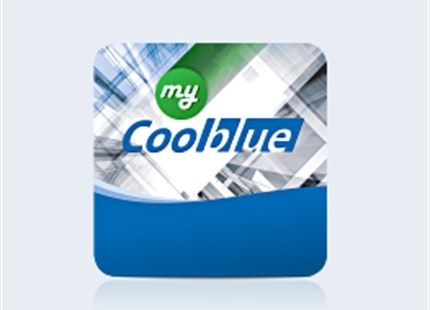 However, when used in conjunction with an evaporative cooling humidifier, the window of operation for a free air cooling system can be extended to 95% of the year. This means the mechanical chillers are only required to operate on the very hottest days. 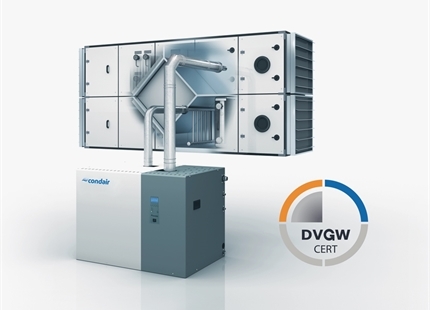 Alongside the benefits of low cost cooling, adiabatic humidifiers also offer all the benefits of correct humidity control. For offices and public premises that means a healthy atmosphere that doesn’t dehydrate employees, promote dust and airborne infections or cause static electrical issues.